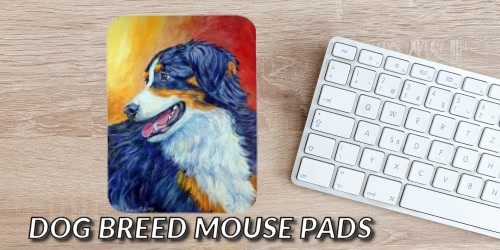 Polyester Dog Breed Mousepads feature a beautiful dog breed image with a durable Polyester surface and rubber backing. Enjoy a dog breed mousepad at the office or at home. A Dog mouse pad is a great Gift for a Coworker or Computer Friend.